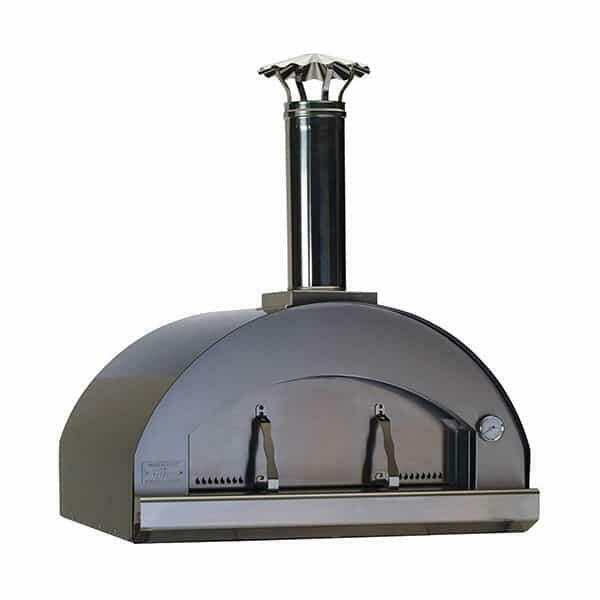 The Extra Large Pizza Oven Head is the largest in the collection of pizza makers by Bull Grills. The oven head is made for outdoor placement in an existing grill island or outdoor kitchen. It slides into a measured cutout, just like a grill head might. The Extra Large Oven Head features a 441-grade stainless steel construction that is built with a solid weld, and has a rock-based insulation. The cooking surface features food grade stones for the perfect bake. The oven is heated by fire, delivering the most natural and organic tastes. Whether they’ll admit it or not, guests get tired of the same old cheeseburgers and brats. Do everyone a favor, and bring the newest heat to the summer barbeque. This summer, cook margarita pizza appetizers, finger pizzas and more! Dimensions 33.75" D x 38.6" W x 23"